For generations, children have received Christmas gifts of hard, sweet, crystal-clear edible shapes of red, green, and yellow animals, trains, ships, and other objects called clear toy candy. The candy is made from a solution of sugar, water, corn syrup, and food coloring. The shapes are formed when the hot solution is poured into molds in which the candy quickly hardens. 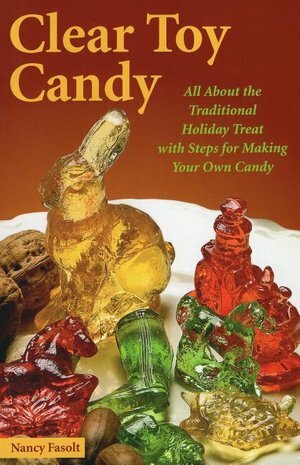 This book provides tips and techniques for making the traditional candy, with information on ingredients, utensils, and the correct cooking conditions. A brief history of the candy and a discussion of the antique molds make this book essential for all who want to carry on this delightful winter holiday tradition.